The best integratable marketing tool to "create landing pages fast and easily" for your e-commerce products. Flauntly is a versatile tool, with many uses — from driving sales campaigns to increasing customer engagement. But thats not all, you can take advantage of this quick and easy tool and integrate it with other sources like the simple and customizable e-commerce platform — Foxy. 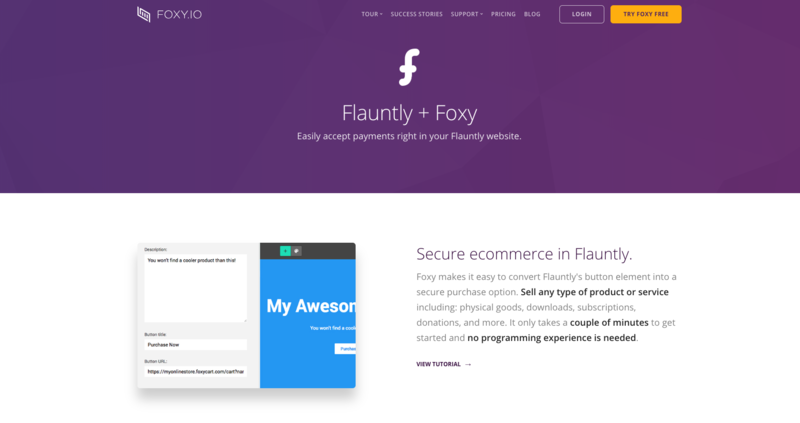 Foxy makes it easy to convert Flauntly's button element into a secure purchase option. Their platform gives users the ability to sell any type of product or service including: physical goods, downloads, subscriptions, donations, and more. Both Flauntly and Foxy.io, only takes a couple of minutes to get started and no programming experience is needed to get things up and running in no time. How to set up Foxy with my landing page? To display the side cart when a customer adds a product to cart and to store customer sessions, Foxy's code snippet must be added to your Flauntly website. In Flauntly, click on the "Page Settings" icon at the top of the page. From the Page Settings menu, click on the "Integrations" option. 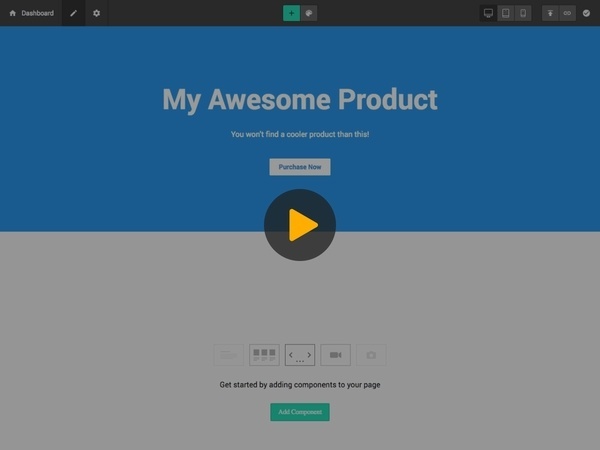 Paste the snippet of code you just copied into the "Footer Custom Code" section. Click on the "Page Content" icon at the top of the page to go back to the page designer. In Flauntly, click on the "Edit" icon for the section that contains your purchase button. In Flauntly, paste the link you just copied into the "Button URL" field. Click on the "Publish" icon to publish your changes. Test your purchase button to ensure it works as expected. Interested in the rundown of what Foxy.io is? Understand the importance of landing pages and how they can help you business capture and convert more leads. Additional info includes: Analytics, A/B testing, Niches and more. A website homepage serves many purposes, but for marketers, it’s not the best way to tell prospective customers about a new product or drive conversion. For that, you need a landing page. Unlike homepages, landing pages keep visitors focused on taking action.